Hello everyone, welcome back to my little corner of the internet. Sorry I haven’t been uploading much, hopefully I will get more posts uploaded in 2017. So a couple of weeks ago I got asked if I wanted to take part in the #MKBParty where I had to host a party with my friends and have a nice time. So the people at ‘Come Round’ sent me a huge box full of three books and other gifts such as makeup, sweets, a travel coffee mug with a quote from the book ‘Fangirl’, instant hot chocolate, a little notepad and other little gifts. So you’re probably wondering what the #MKBParty is? The #MKBParty is a little party that I had with my friends where I used word of mouth party activities to let people know about these books. The campaign that I took part in was Pan Macmillan where they wanted select influencers to create content for their MyKindaBook imprint. Fangirl is about two identical twins who used to do everything together. They are now off to university and Wren has decided that she didn’t want to be know as a ‘pair’ anymore. Wren wants to use university to meet boys, go to parties and dance. However, for her twin Cath, she would rather bury herself in the fanfiction that she writes where there’s romance far more intense than anything she’s experienced in real life. Now Cath has to decide if she is ready to open her heart to new people and new experiences, and she’s realizing that there’s more to learn about love than she ever thought possible…. Hello everyone, slightly different blog post today, today I am going to be talking about my song writing which has been something I don’t ever really talk about with anyone, mainly because I feel like it is such a personal thing to do. So in this blog post I am going to explain my reasons behind song writing, how I write my songs and also the reason why I don’t show them to people. So first of all, why do I write songs? My main reason, because I want to. 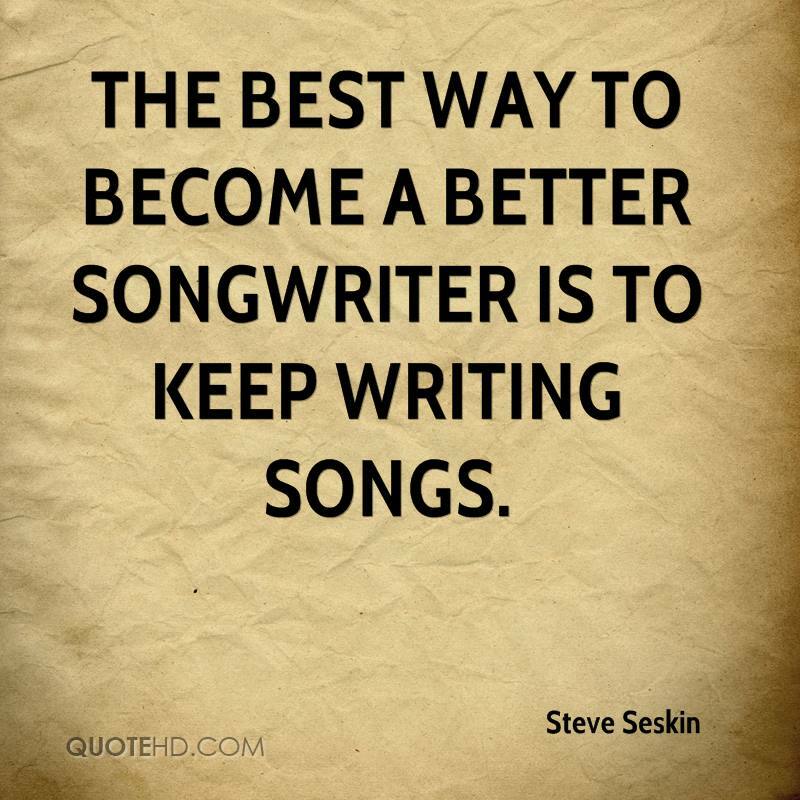 This is one of the main reasons why, I have heard millions of times before especially from my family that “it’s a waste of time.” But no, for me, song writing is so much more than that, it’s a way to express myself. It’s like writing a diary, but shorter and you fit everything you want to say in a 3-4 minute song, therefore you get in the most important pieces of information. Another reason is that its therapeutic. I find it relaxing to just write song lyrics, especially hand writing them. But how do I write my songs, this is something which I’ve been asked before by friends and family, and the answer is simple really, practice! Now in no way am I saying that my songs are really, really good compared to people like Taylor Swift and Ed Sherran, but some of the songs I’ve written are okay. On the 17th September 2016 me and my friend Furn (Raichi) decided to go down to Brighton for the day to take part in a 5K colour run (that is just over 3 miles.) We invited two of our other friends a long as well; Amy & Andie. So us four, my , brother, mum, dad and grandparents all went down to Brighton to support me and Furn. About a week before the event me and Furn both got our run packages through the post, in this we got a Colour Run T-shirt, 3 tattoos, a wristband, a headband and our runner number. On the morning of the race I woke up at 5am to get myself ready for the colour run seeing as we were leaving at 7 to get there on time. When we arrived we all walked down to Madeira Drive where Furn and I both walked off to go and get ready for the race. When we arrived there was a massive stage which was doing warm up exercises and also lots of places to take photos, which was all for free! So we made sure we got all the photos that they were doing (However, I never received one photo which I was meant to through my E-mail) We also found a 360′ photo booth that was also giving out granola so we both had some granola to give us energy before the race. Slowly we started being told to get ready, so we started walking up the designated walkway where everyone had to wait, we were all sent in waves of about 500-800 people at a time. When we got nearer the front there was someone standing on a really high podium (don’t worry it had edges and was secure) and he was getting us all excited for the race and throwing free merchandise into the crowd of runners. TV shows you need to watch! Hello everyone, so slightly different blog post today, today I am going to be sharing with you my favourite TV shows that you NEED to be watching! This first TV show is one of my favourites and if you have been following my blog for a while then you will know that I am obsessed with ‘Pretty Little Liars.’ The show revolves around 4 friends who all unite back together after the queen bee of the school and leader of the group goes missing. After she goes missing the girls begin getting anonymous text messages revealing their secrets and knowing stuff about them that they believed only the leader of their group knew. The show then goes on to the girls finding out what happened to their friend and tracking down who is trying to hurt them, their friends and family. This next show is one that I watched in about a week and it is ‘The Returned.’ The Returned is about people who come back from the dead after years of being dead and they don’t remember it and no one in the town can work out why and people who are related to the people who have died and have come back also get affected physically as well. However, there is only one season and its been left on a cliff hanger, so I’m just like crying over here. Hello everyone, so I recently got back from my holiday in Paignton. (Click here to watch my holiday vlogs!) And whilst on holiday I went into a bomb cosmetic store and bought some bath bombs, so today I am going to share with you what I have bought. So this first bath bomb is a pink one with a rose in the top of it and this is called ‘Pink Lady.’ This bath bomb smells amazing! It smells very floral, which personally is very nice for this time of year and also the spring, but lets be honest I will probably have used this by spring next year! It also has a very feminine scent to it, sort of like a very nice perfume. I can’t wait to see what happens when I put this in the bath. This next one is one that has glitter on it and says I ‘heart’ you on the top of it. This is called ‘Heart That Glitters.’ This bath bomb is one of my absolute favourites (because of the smell) it smells very fresh and cotton like, almost like fresh washing. Now I love the smell of fresh washing and cotton and any bath bomb that smells of fresh washing or cotton, you can be sure that I will most likely end up buying it! This next bath bomb is again one of my favoruites, this is called ‘Lemon Da Vida Loca.’ Now just like the one above, I absolutely love lemon scented things so I just had to also buy this! The only way I can really describe the scent of this is by saying that it smells like the KFC lemon wipes that you get but a little bit more lemony scented. I am so excited to see what my bath will look like after I have used this! Hello everyone, so back in July I was kindly asked by a gentleman called John whether I would like to join the #iblogbecause campaign. So after reading up on it and learning what the campaign actually was I decided to join the campaign. The whole point of the #iblogbecause campaign is to spread positivity around the blogging community, which I honestly thought was such a good idea because there can be negativity in the blogging community as well. Hello everyone, so I haven’t done a favourites blog post in what seems like absolutely ages so I thought I would do one today to share with you my favourite products this month. First of all it is the ‘Zoella Scrubbing Me Softly’ body scrub from her Tutti Frutti collection. I absolutely adore this product. It smells very fruity (shockingly) and very fresh which is really nice after you have got out the shower. In the scrub it has Acai and blueberry in it as well. The beads that are in it are also very moisturising and when you have gotten out of the shower you feel so smooth and clean. It truly is a magical product. This costs £7. Continuing on from beauty, the next beauty product is the E45 moisturising hand cream. I love the E45 range because it is so nice and gentle on your skin. Especially if you have really sensitive skin or eczema (which I have.) The hand cream does not smell of anything so if you hate having your hands smell after using hand products then this is definitely what you need! It also doesn’t make your hands greasy which is always a bonus and you don’t have to wait for it to dry so you can get straight back to what you were doing! This costs £3.60. Now onto makeup. The first product is this MUA Highlighter which almost every day I have done my makeup I always reach for this highlighter. It is so easy to apply and its not super sparkly, which unless I’m doing something fancy or feel like it is appropriate to need a really sparkly highlighter this is the one I reach for. It is quite subtle but noticeable, which is nice. It just gives a nice pink shimmer and I definitely feel that this will be the highlighter I keep reaching for all throughout the summer! This costs £3. Next is a blush. For the longest time ever I have always owned matte blushes and I really liked them, but one day I decided that I wanted to try a shimmer based blush. So I decided to buy the Makeup Revolution ‘All I Think About Is You’ baked blusher from Superdrug. The blush is a dark pink colour, it also isn’t packed full of shimmer, which I like because I would much rather my highlighter be the most shimmery thing on my face. The blush is also very smooth and moisturising. Even though the container is small you can get a lot out of it because you don’t need to put a lot on your brush because a little goes a long way. This costs £2.50. Hello everyone, today I am going to be doing a review on the Sleek ‘Oh So Special’ palette. This palette costs £8.99 from Superdrug. I love this palette, not just because of the colours that you get in this palette but also the simplicity of the design of the product. The word ‘Sleek’ is written in black shiny writing on the front which you have to move the product to see it. I feel as if this adds to the simplicity and sophistication of the palette. The mirror inside is also amazing! I love it when a eye shadow palette has a really nice mirror in the product because it is so useful and personally for me adds to the design and makes me like the product even more. The palette is also really thin which means it doesn’t take up a lot of room in your makeup bag or makeup storage, which is really useful.